I’m an Apple user and I occasionally use Android devices when I get them for review. At times, I miss playing with many cool Android apps and I have been planning to buy an Android phone or tablet in coming days just to try apps. Good news here is, I came across a free software which will let me run Android apps on Mac and Windows OS. Whats is Bluestacks App player? A start-up company called Bluestacks come up with an idea to empower users to Install and run Android apps on Windows PC’s. Blustack is basically an android app player for Windows, which will let you search and use any android apps from Google play market. Also, if you are an existing android user (tablet or Phone), you can download their cloud connect app from Google play and it will let you sync apps between your phone and Bluestacks app player on your Windows. That means you can enjoy all your favorite android apps on windows without actually doing anything apart from download and installing this software. From the official site you can download Bluestack for Windows Xp, Windows Vista, Windows 7 and 8. Somehow I couldn’t find official download link for Mac Version, but you can download a beta version for Mac from here. This software is very easy to use and all you need to download Bluestack app player from here. It’s an online installer and file size is above 125Mb, so it will take few minutes to install depending upon your internet connection speed. Once, this software is installed Bluestack home screen will open with few pre-installed app. It also shows a dock at the top in Windows , which you can use to quickly use this software. 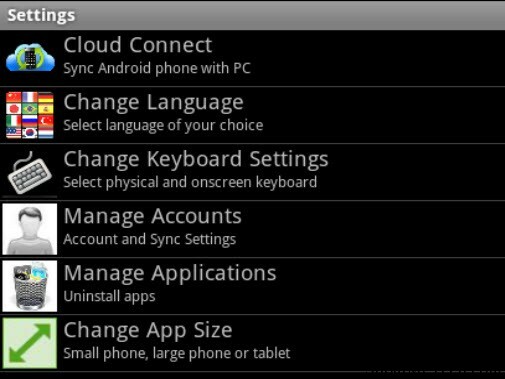 There is also a search feature which you can use to search android apps and install them from there. Right now, I tried their latest beta version and experience is 3/5 but the idea of using android apps on Windows itself is exciting. I quickly Installed Zite and pocket app, which I mostly use on my iPad for reading. Now, you might find me sharing more article on Twitter and Google plus, as my favorite tablet feed readers are on my desktop now. If you are a tech blogger who often cover Android news and don’t have an actual android device, you can use this free software to install android apps on Windows computer and you can come with your own review. Your user experience might not be the same, but you can always get more info from the app after trying it. How did you like the idea of Bluestacks app player? Are you going to try it or have you tried it? Do let us know your review and feedback. Also, if you find this software useful, don’t forget to share it on Facebook and Google plus. 1 Whats is Bluestacks App player?